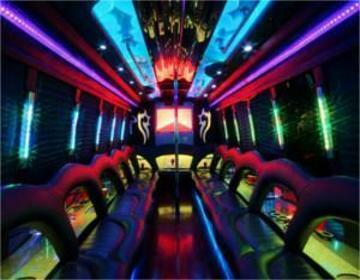 Welcome to the Home of Washington DC, Baltimore and Virginia's Largest Party Bus company! 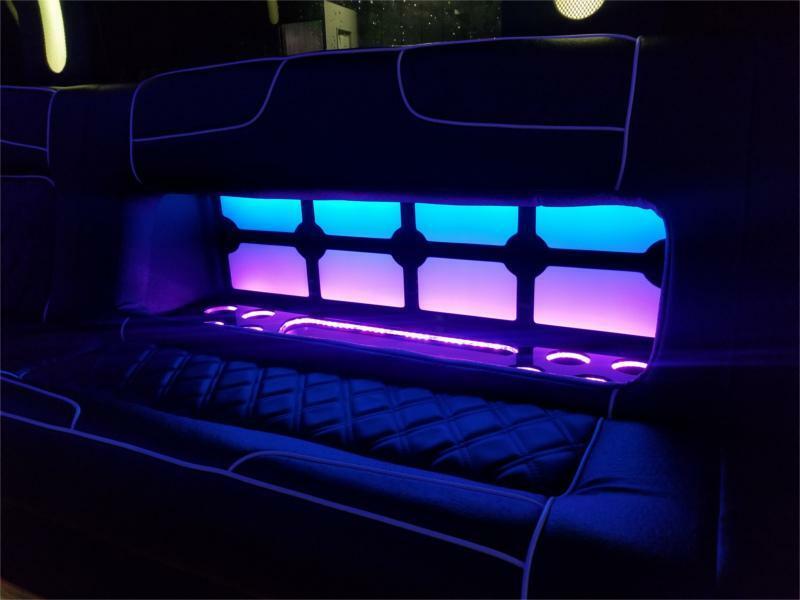 Check out the latest additions to the Just Limos fleet, complete with custom seating for 10-40 passenger and the same great Just Limos features along with some new tricks.Who says you can’t get the party started on the way to one? 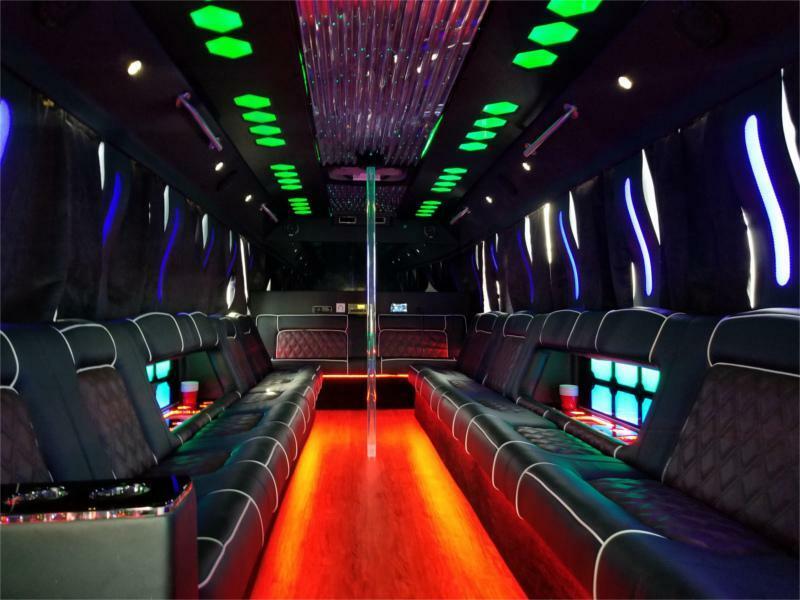 We’ve got an extensive listing of party buses in the Washington, DC, Baltimore & Virginia area to choose from. 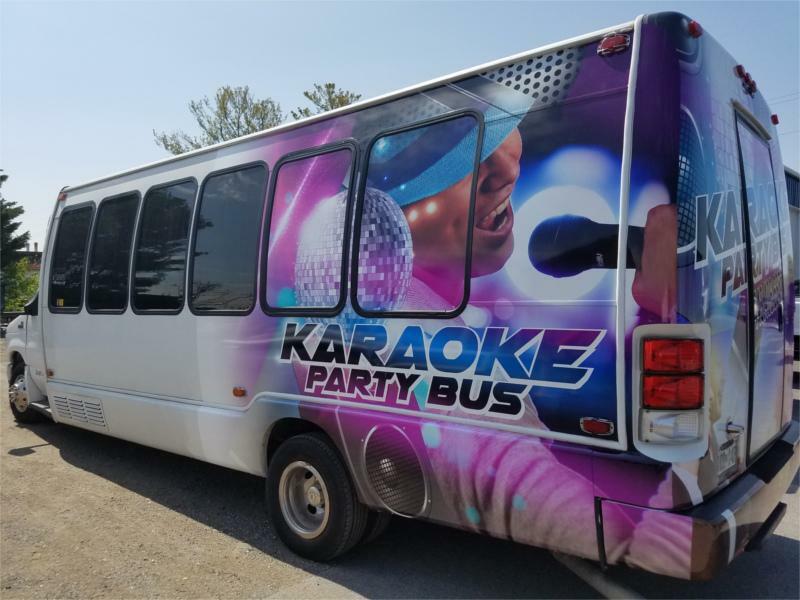 You can get one with neon lights, a bumpin’ sound system, and even a Karaoke machine! 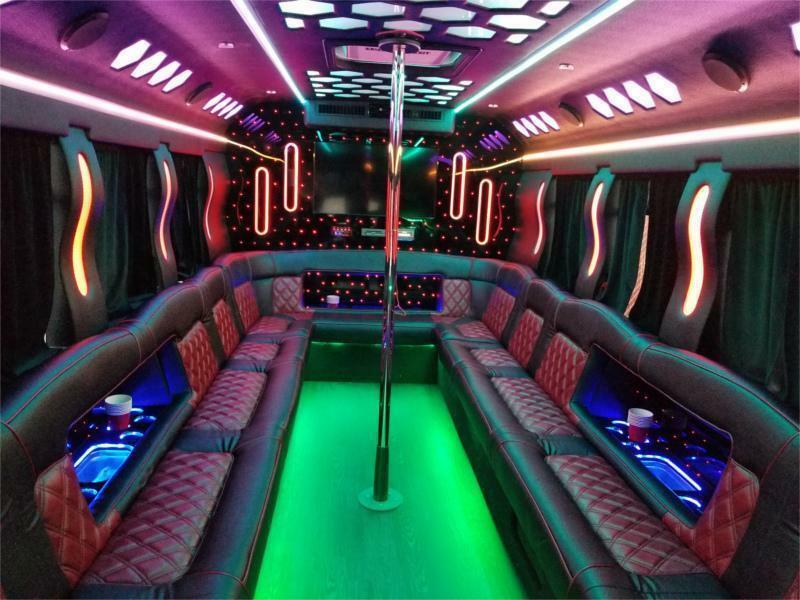 The Just Limos party buses are great for...Concerts, Bachelor / Bachelorette Parties, Anniversaries, Nights On The Town, Sporting Events, Quinceaneras, Birthday parties, Wine Tours, Bar Hopping and Corporate events. 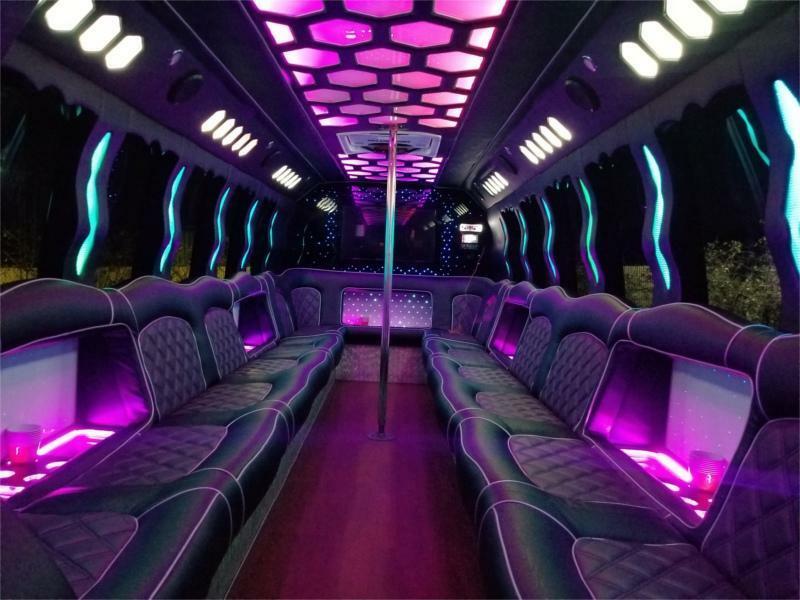 Discover a new, fun & safe way to enjoy a night out with friends…forget stuffy limos …avoid hunching over or squeezing in…make your money go farther….Roll in style with the Just Limos with a dance floor to your next event. 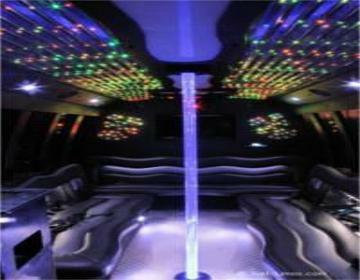 Just Limos serves Washington DC, Virginia, and Baltimore for all your party bus needs.Whether you’re looking for a cheap party busrental in Virginia, Maryland or Washington, D.C., Our Party buses are luxurious and fun at an affordable price. When you rent one of our partybuses, you're guaranteed to have an unforgettable experience. 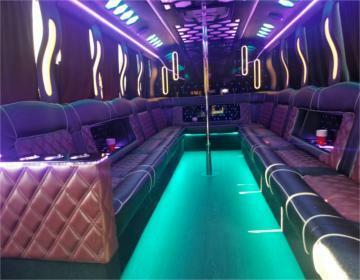 It's perfect for any event you want to make extra special, including birthdays, bachelorette parties, sightseeing tours or any other occasion that needs some spicing up. 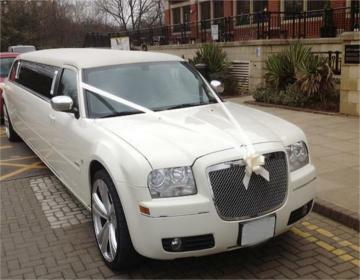 Just Limos wants to make sure your experience is as carefree and fun as possible. That's why we offer incredible features no matter which bus you choose. It all starts the moment you hop on board. Our drivers are the best in the business, providing their professional experience to your event, so you don't have to think about it. There's no need for a designated driver. All you have to worry about is having a great time. 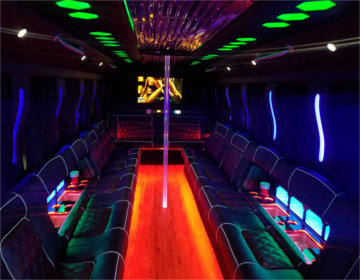 Each party bus is the latest luxury vehicles, jam-packed with amenities to get your party rolling, including: Fiber-optic laser lights and a dance floor to set the right vibe. Built-in bar with ice and water included. Stereo system with phone hook-up and a CD player to make your party's soundtrack your own. 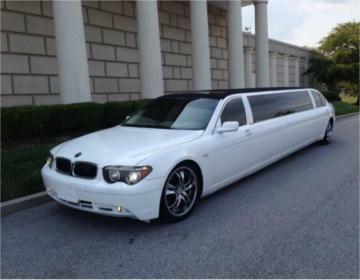 When you book with Just Limos,exceptional customer service is a given. From our first conversation until your last guest exits the bus, we want your experience to be off the charts. 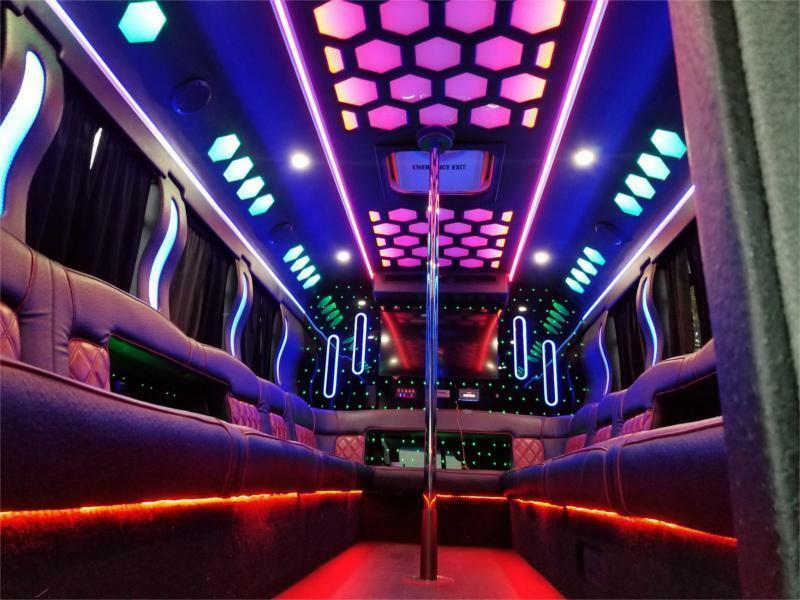 If you have any questions or concerns that you’d like answered before you book, feel free to call our limo or party bus service at (888) 888-9973 Monday through Sunday between 9:30 a.m. and 6 p.m. to talk to a real person or you can a quick quote online, renting a party bus or a limo has never been this easy. 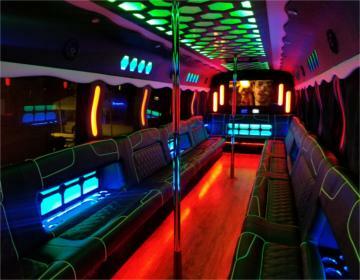 So you ask yourself why a party bus? There are so many special occasions in life that we celebrate out of town with a group of friends, and somehow no matter how much fun we have, arranging the transportation services is always a hassle. If everyone drives out in their own cars, inevitably someone gets lost or has car trouble, and then of course you've all got to find parking. 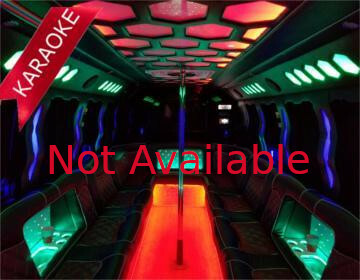 If you rent a party limo, you have to deal with the cramped space and lack of seating. So what's the solution? 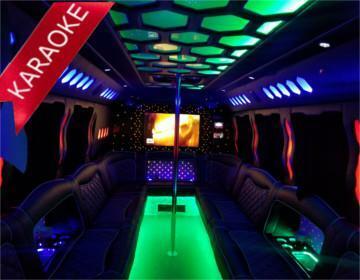 Renting a partybus of course! 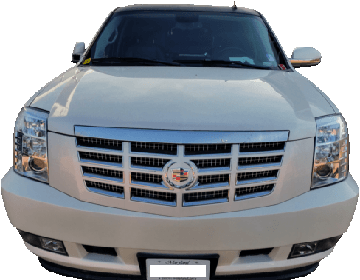 Imagine cruising the freeway and the downtown city streets in style, with a large group of your friends and family, enjoying your favorite DVDs and music videos on the flatscreen TV, or listening to your favorite songs on CD or iPod hooked up to our premium sound system. Picture pouring that bubbly or mixing your favorite cocktails right there at the built-in bar. And just think of all the great conversation you'll be able to have while you're sitting comfortably on our premium leather wraparound seating. This is transportation at its very best!Best of all, we are licensed and insured to give you the peace of mind that you need. And we don't just have drivers, we have professional chauffeurs who are trained to give you the highest quality service in the world. Take a look at some of our features below, and navigate the site via the menu at the top. 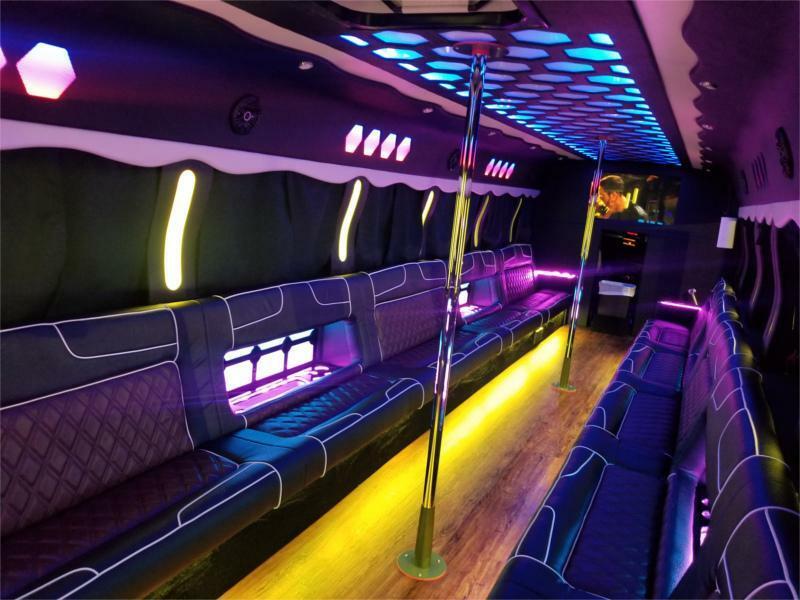 You'll be able to find everything you need to know, and when you're ready to book that partybus, you can give us a call at 888-888-9973 or get a free quote from us. We look forward to serving you!